The largest entertainment center in Ticino! 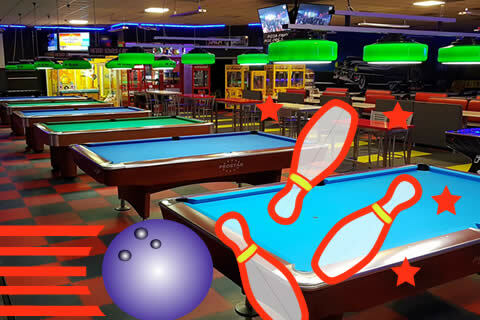 6 billiards, table football and much more! 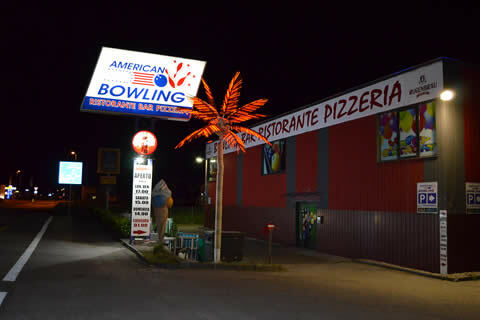 American Bowling welcomes you in the great center of the fun of Ticino with 12 slopes American bowling, billiards 6, the large game room, a Wi-Fi area, darts and footballino, pizza restaurant, ice cream parlor and cocktail bar . 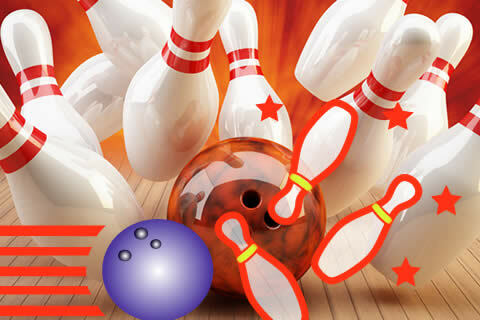 A great side dish to make this recreational sport, because bowling never stop playing, the doors are always open from the youngest to the not so young and our tracks you can always the limestone. 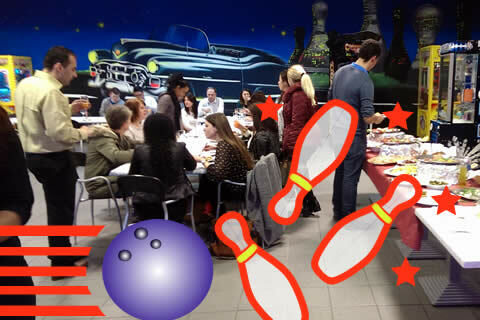 Here you can organize your aperitif with friends or co-workers, your birthday party or just a corporate bowling tournament. 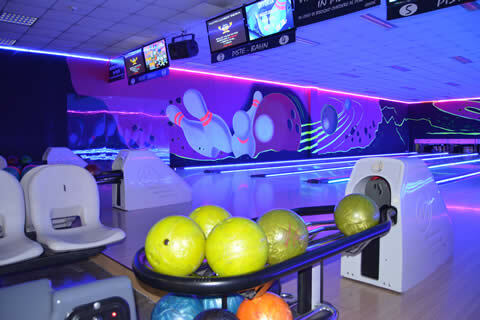 At Christmas, Carnival, Easter and during special holidays, it is open from early in the afternoon, even on weekdays.